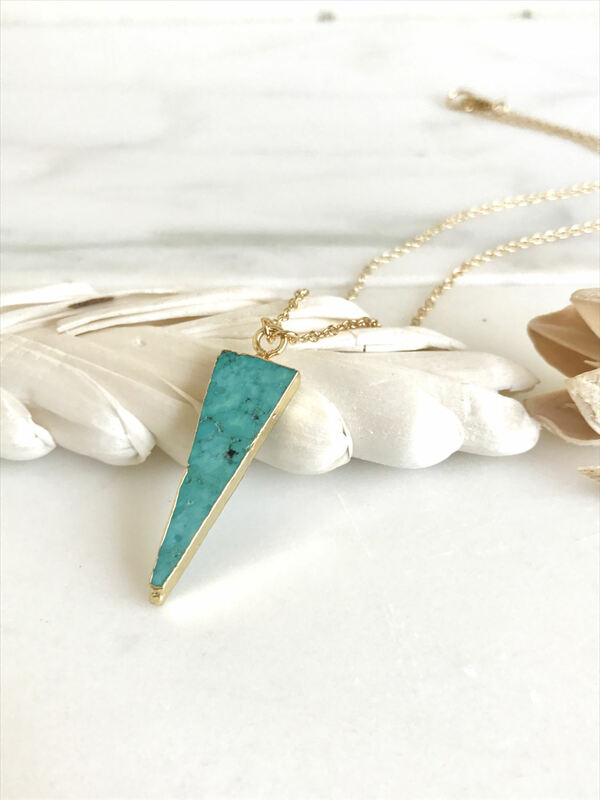 Turquoise Triangle Pendant Necklace. Turquoise Jewelry. Layering Long Arrow and Gold Stone Geometric Necklace. Jewerly Gift. Simple Jewelry. Elegant and simple get bold in style. The stone triangle is about 1.75" long. The necklace is about 17" long on 14k gold filled chain. Each item will come in a jewelry box with a lovely gift sleeve, ready to gift. Simple Shell Bar Necklace in Gold. Shell Necklace. Everyday Gold Bar Necklace. Gold Bar Necklace. Layering Necklace. Jewerly Gift. Simple Half Moon Druzy Necklace. Everyday Boho Necklace. Dainty Gold Necklace. Layering Necklace. Jewerly Gift for Her. Crescent. Dainty Arrow Necklace in Gold. Gold Layering Jewelry. Long Stone Pendant Necklace in Gold. Stone Necklace. Bohemian Jewelry. Druzy Necklace. Druzy Jewelry. Arrow Geometric V Pendant Necklace. Geode Necklace. Druzy Jewelry. Arrow Necklace. Druzy Jewelry Gift. Long Wing Necklace. Geode Slice Necklace. Long Gold Wing Slice Necklace. Long Boho Gold Stone Necklace. Bohemian Jewerly. Gift. Rose Gold Earrings. Bridesmaid Gift. Wedding Earrings. Rose Gold Drop Earrings. Wedding Jewelry. Simple Earrings. Dangle Earrings. Gift. It’s the perfect gift. I know the friend I am giving it to will love it!! Tassel Necklace. Leather Tassel Necklace. Tassel Necklace. Long Tassel Necklace. Boho Jewelry. Druzy Triangle Necklace in Sterling Silver. Colorful Druzy Necklace. Jewelry. Gift. 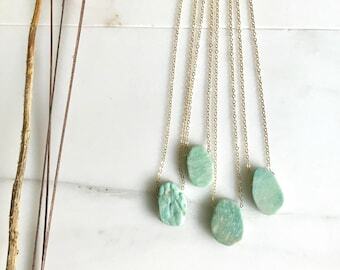 Turquoise Stone Pendant Necklace. Turquoise Jewelry. Aqua Choker. Gold Necklace. Layering Necklace. Floating Stone Necklace. Gemstone Layering Necklace - Short Style. Layering Pendant Necklace. Gemstone Jewelry. Simple Silver Bar Necklace. Everyday Silver Bar Triangle Pendant Necklace. Dainty Silver Bar Necklace. Gift for Her. Layering Necklace. Simple Gold Bar Necklace. Everyday Gold Bar Triangle Pendant Necklace. Dainty Gold Bar Necklace. Gift for Her. Layering Necklace. Wishbone Necklace in Antique Bronze. Charm Necklace. Simple Necklace. Everyday Necklace. Wishbone. Gift. Simple Jewelry. Minimalist.